Zoroastrianism, a unique religion which stresses the eternal battle of good versus evil, has had a larger impact than its small number of followers (100,000) would suggest. It is the religion of one man who lived some 600 years before the birth of Christ. His name was Zoroaster. The religiously fertile area of Babylonia (modern Iraq and Iran) was his home. The early history of Zoroastrianism is much in dispute. The religion was founded by Zoroaster (the Greek form of his name, which is Zarathushtra in Persian), but it is not certain when he lived, where he lived or how much of later Zoroastrianism came from him. Tradition puts him in western Iran in the sixth century B.C., a little earlier than the Buddha in India, but it is now thought that he lived in northeastern Iran, in the area on the borders of modern Afghanistan and Turkmenistan. An alternative theory dates him much earlier, somewhere in the period from 1700 to 1500 B.C., and places him in the plains of Central Asia, perhaps before the first groups of Aryans moved south from the plains into Iran and India (Richard Cavendish, The Great Religions, New York: Arco Publishing Company, 1980, p. 125). Tradition says that Zoroaster was the son of a camel merchant and grew up at a time when his fellow Persians worshipped many gods. While growing up he had a keen interest in religion, pondering the mysteries of life. At an early age he became known for his compassionate nature, especially toward the elderly. Zoroaster had an excellent education, studying with some of the best teachers in Persia. Yet he became restless, and at age 20 he left his father and mother in a search for answers to life's deepest questions. He would seek, from all those whom he met, answers to his religious questions. During this time of Zoroaster's religious quest, it is said he used his medical ability to help heal those ravaged by the ongoing wars. It was at age 30 that Zoroaster received enlightenment. As the account goes, Zoroaster received a vision on the banks of the Daitya River when a large figure appeared to him. This personage identified himself as Vbhu Manah, or "good thought. " This figure took Zoroaster into the presence of the wise lord Ahura-Mazda, who instructed Zoroaster in the true religion. Zoroaster spent the next ten years proclaiming his newly discovered truth but had little success. The movement began to grow after Zoroaster converted a prince named Vishtaspa, who helped propagate his new-found faith. During the ensuing years the faith spread rapidly. Zoroastrian tradi-tion records two holy wars which were fought over the faith, the second of which took the life of Zoroaster at age 77. However, though the prophet died, the faith remained alive. 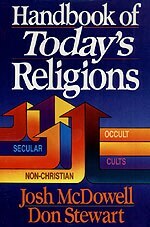 Zoroastrianism quickly destroyed the magic and idol worship prevalent then and established its own belief in one god, a heaven, and a hell (see Maurice Rawlings, Life-Wish: Reincarnation: Reality or Hoax, Nashville: Thomas Nelson Inc., 1981, p. 63). Head of the two-footed race; the wisest of all beings in the perfection of his holiness; the only one who can daunt evil (Max Mueller, ed., Secret Books of the East, Oxford: Krishna Press, 1897-1910, 23:190, 229, 275). The chieftainship of all things was from Zoroaster; the completely good, the righteous Zoroaster (Ibid., 5:88; 18:90). Incomparable among mankind through his desire for righteousness, and his understanding the means of defeating the destroyer, and teaching creatures (Ibid., 37:241). A heavenly radiance "came down from the endless light" to the grandmother of Zoroaster for his birth from a radiantly wonderful virgin mother (Ibid., 47:18-20, 138-139). He was pre-existent, 3,000 years before his physical birth, and during the interval he remained with the archangels equal to the archangels (Ibid., 47:21, 22, 122). The principal religions of the world count their adherents in the millions, and on this scale it almost needs a microscope to see Zoroastrianism at all. There are about 100,000 Zoroastrians in India and Pakistan, where they are called Parsis. They do not accept converts and their numbers are steadily diminishing. There are also a few thousand Zoroastrians in Iran, and smaller communities in North America, Britain, East Africa and Hong Kong. Despite its comparative poverty in numbers, however, Zoroastrianism is enormously rich in ideas, which have had an influence far beyond its own ranks (Richard Cavendish, op. cit., p. 125). Because of the influence it exerts, Zoroastrianism is still a religion to be reckoned with. The sacred scripture of the Zoroastrians is known as the Avesta, originally written in an old Iranian language called Avestan. Of the original work only a small fraction has survived, with the total size about one-tenth that of the Bible. The Avesta contains hymns, prayers and ritual instruction. It is divided into three major sections, the oldest of which is called Yasna. Within the Yasna there is a group of five hymns known as the Gathas, which are composed in a more archaic dialect than the remainder of the Avesta. These hymns are generally assumed to be the closest account we have of the very words of Zoroaster. The Gathas stress the lordship of Ahura-Mazda as the only supreme God, along with an exhortation to righteous living. The Gathas also reveal that the righteous will receive a reward at the end of this present age. The second major section is called the Yashts and contains hymns to various deities. The third section is known as the Vind_v_t (or Vend_d_d) and is a section written much later, containing the law against the demons along with other codes and regulations. The priests of Zoroastrianism are called magi and use magic in their communion with God. This is the source for our English word "magic." Ahura-Mazda, the creator, radiant, glorious, greatest and best, most beautiful, most firm, wisest, most perfect, the most bounteous spirit! (Max Mueller, ed., op. cit., 31:195-196). Now the two primal Spirits, who revealed themselves in vision as Twins, are the Better and the Bad in thought and word and action. And between these two the wise once chose aright, the foolish not so. And when these twain Spirits came together in the beginning, they established Life and Not-Life, and that at the last the Worst Existence (Hell) shall be to the followers of the Lie, but the Best Thought (Paradise) to him that follows Right. Of these twain Spirits he that followed the Lie chose doing the worst things; the holiest Spirit chose Right (James Hope Moulton, Early Zoroastrianism, London: Constable and Company, 1913, Yasna 30:3-5, p. 349). The importance of Zoroastrianism has always been qualitative rather than quantitative. Its highest significance lies in the influence it has exercised on the development of at least three other great religions. First, it made contributions to Judaism, for between 538 B.C. (when the Persians under Cyrus captured Babylonia and set free the Jews exiled in that land) and 330 B.C. (when the Persian Empire was destroyed by Alexander) the Jews were directly under the suzerainty of the Zoroastrians. And it was from the suzerains that the Jews first learnt to believe in an Ahriman, a personal devil, whom they called in Hebrew, Satan. Possibly from them, too, the Jews first learnt to believe in a heaven and hell, and in a judgment Day for each individual (Lewis Browne, This Believing World, New York: MacMillan Company, 1926, pp. 216, 217). Of all the other nine extra-Biblical living religions, Zoroastrianism is the only one from which a definite religious belief has been borrowed and included in the Bible. Consistently throughout the Old Testament down to and including the Isaiah of the Exile, the ultimate source of everything, including evil, is represented as the God Jehovah. But a distinct change took place after the Exile. A comparison of two parallel accounts of a certain experience of King David will show that a post-exilic document (1 Chronicles 21:1) substitutes "Satan" for "Jehovah" in the pre-exilic account (2 Samuel 24:1). Thus Satan is not an original feature of the Bible, but was introduced from Zoroastrianism. Perhaps certain other innovations besides the idea of a Satan were adopted from Zoroastrianism by the Hebrews after they had come into direct contact with that religion in the Babylonian Exile: for example, the ideas of an elaborate angelology and demonology, of a great Saviour or Deliverer to come, of a final resurrection and divine judgment, and a definitely picturable future life. Certainly Jesus' word "Paradise" (Greek, paradeisos, Luke 23:43) was, at least etymologically, derived form Persian origin (Avestan, pairidaeza) (Robert E. Hume, The World's Living Religions, New York: Charles Scribner's Sons, rev. ed., 1959, p. 200). Although many teach that Zoroastrianism has had a profound influence upon the teachings of the Bible, we believe this is not the case at all. In other works (Answers, Reasons) we have demonstrated that Christianity is not a man-made religion, as many assume, but it is rather the one true faith supernaturally revealed by the true and living God. The Bible claims to be God's unique revelation of Himself, and we have shown the evidence that leads one in that direction. If this be true, then the practices of other religions, including Zoroastrianism, could not have affected Biblical doctrine as is claimed. Those who claim Zoroastrianism has had an effect on the Bible begin with the inherent assumption that the Old Testament was written later than the traditional evidence shows. Many books, such as the Pentateuch (Genesis-Deuteronomy), job and Isaiah chapters 40-66, are wrongly dated during or after the exile (ca 536 B.C.) instead of as early as 1300 B.C. Consequently, when these concepts appear in certain biblical books, they are given a late date because they are already assumed to have been influenced by other religions. In More Evidence That Demands a Verdict (written by josh McDowell), we see that these assumptions of the late dating of the Old Testament are anything but assured. If one accepts the traditional dating of the Old Testament, then the proverbial shoe is on the other foot. It is not Zoroastrianism that influenced biblical doctrine when the Jews were in exile under Persian rule; it is the Bible that influenced Zoroastrianism! Moreover, the ideas that are supposed to have influenced New Testament doctrine (resurrection, final judgment, a messiah) were either taught in the Old Testament before the rise of Zoroastrianism or come from later Zoroastrian teachings which first appeared after the birth of Christ. Therefore, we strongly believe if there was any influencing on one by the other, it is Zoroastrianism that has been influenced by the Bible, not the opposite. Although Zoroastrianism has been thought to have exerted an influence over some of the beliefs of Christianity, there is much in Zoroastrianism that is incompatible with Christianity. The God of Zoroastrianism is similar to the God revealed in the Bible; however, there are some major differences. Ahura-Mazda is not an all-powerful God but is only equal in strength to Angra Mainyu. They are co-equal and co-eternal. According to the Bible, God is the only all-powerful Being, with His archenemy, Satan, a created being. "'You are My witnesses; declares the Lord, 'And My servant whom I have chosen, in order that you may know and believe Me, and understand that I am He"' (Isaiah 43:10, NASB). Speaking of Satan, the Scripture says, "You were blameless in your ways from the day you were created, until unrighteousness was found in you" (Ezekiel 28:15, NASB). Satan is not the opposite of God, for he is neither all-powerful nor eternal. (See our previous volume in this series, Understanding the Occult, on the character and abilities of Satan). As it is written, There is none righteous, not even one (Romans 3:10, NASB). For all have sinned and fall short of the glory of God (Romans 3:23, NASB). For the wages of sin is death, but the free gift of God is eternal life in Christ Jesus our Lord (Romans 6:23, NASB). For by grace you have been saved through faith, and that not of yourselves, it is the gift of God; not as a result of works, that no one should boast (Ephesians 2:8, 9, NASB). He saved us, not on the basis of deeds which we have done in righteousness, but according to His mercy, by the washing of regeneration, and renewing by the Holy Spirit (Titus 3:5, NASB). The practice of Zoroastrianism involves much that is occultic and superstitious, something resoundingly condemned in the Scripture. The practice of drinking haoma (soma in India), a hallucinogenic, has become a central rite in Zoroastrian worship. Any type of involvement in occultic practices is strongly forbidden by the Bible. "There shall not be found among you anyone who makes his son or his daughter pass through the fire, one who interprets omens, or a sorcerer, or one who casts out a spell, or a medium, or a spiritist, or one who calls up the dead. For whoever does these things is detestable to the Lord; and because of these detestable things the Lord your God will drive them out before you" (Deuteronomy 18:10-12, NASB). Worship in Zoroastrianism is legalistic and impersonal, reflecting the view of its impersonal god, Ahura-Mazda. In Christianity, God is to be worshipped personally with all one's heart, since His nature is personal. Psalm 100 reflects the proper attitude with which to approach the God of the Bible. "Shout joyfully to the Lord, all the earth. Serve the Lord with gladness; come before Him with joyful singing. Know that the Lord Himself is God; it is He who has made us, and not we ourselves; we are His people and the sheep of His pasture. Enter His gates with thanksgiving, and His courts with praise. Give thanks to Him; bless His name. For the Lord is good; His lovingkindness is everlasting, and His faithfulness to all generations" (Psalm 100, NASB). Zoroastrianism may resemble something of Christianity on the surface, but a close comparison of the two will reveal the contradictory differences between them. Ahura-Mazda -The supreme deity, creator of the world, the principle of good. Amesba-Spenta-One of the seven archangels. Angra Mainyu-The evil creator, archenemy of Ahura-Mazda. Avesta-The sacred scriptures of Zoroastrianism. Dakhmas -The towers of silence where the Zoroastrians dispose of their dead by leaving the bodies partially uncovered to be eaten by vultures. This practice keeps the soil and water from being contaminated with dead flesh. Fire Temple -The place where fire worship is carried on. An important practice in present-day Zoroastrianism. Gabras -The name given Zoroastrians by Muslims. The term denotes an infidel. Vivedat (Venidad) -A portion of the Avesta containing magic spells and prescriptions for purification. Vohu Manah -the archangel also known as good thought. Yasna -The most important portion of the Avesta, Zoroastrianism's sacred scripture. Zend-Avesta -A third century A.D. commentary on the Zoroastrian scriptures (Avesta) is known as the Zend. The combining of the two is called the Zend-Avesta. Browne, Lewis, This Believing World, New York: MacMillan Company, 1926. Cavendish, Richard, The Great Religions, New York: Arco Publishing Company, 1980. Moulton, James Hope, Early Zoroastrianism, London: Constable and Company, 1913. Mueller, Max, ed., Sacred Books of the East, Oxford: Krishna Press, 1879-1910. Rawlings, Maurice, Life-Wish: Reincarnation: Reality or Hoax, Nashville: Thomas Nelson Inc., 1981.